At the beginning of the month, I wrote about a revolutionary product for the iPad called "BubCaps". Before BubCaps, students could exit out of educational applications in which they did not want to participate in to try to play a non-educational game. BubCaps provide the extra buffer to prevent children from pressing the button to exit an application. You can read my original review here. Paperclip Robot, creator of BubCaps, has generously donated two different packs of BubCaps (the Explorer 6-Pack and the Pro 2-Pack) for my readers to enter to win! Continue reading for some more information about BubCaps and your chance to win a pack for your child, therapy room, or students! BubCaps can be used by parents, teachers, and therapists to keep children from pressing the "Home" button on the iPhone, iPod Touch, and iPad to exit out of an application. Place one directly over the "Home" button and all problems are solved! BubCaps can be used by parents to make sure that their children only use an application of their choice for free time, break time, or to have children remain in an application so that they do not access social media/more adult applications. BubCaps can also be used by teachers and therapists to make sure that the students remain in an appropriate educational application so that the students remain on task, complete a task, do not exit an application to play a game, and more. 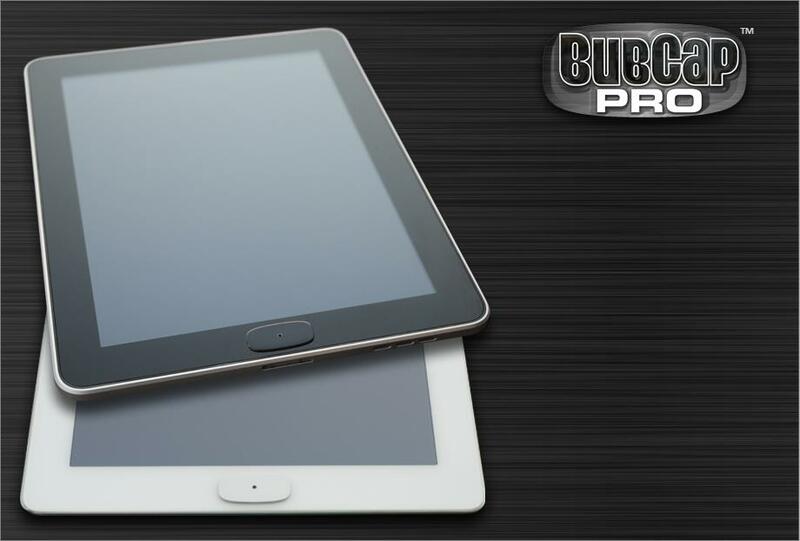 Read my previous post for information about use with screen protectors, re-use of BubCaps, installing the BubCap, removing the BubCap, prices of other packs, and other reviews of BubCaps by speech-language pathologists! You can purchase BubCaps online on Paperclip Robot's website or Paperclip Robot's Amazon.com store. 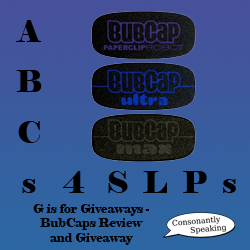 Consonantly Speaking was given a sample-pack of BubCaps as a part of a giveaway on Paperclip Robot's Facebook page. Consonantly Speaking was later given the opportunity to give away a BubCap Explorer 6-Pack and a BubCap Pro 2-Pack by Paperclip Robot. No other form of compensation was given. Enter below for your chance to win either a BubCap Explorer 6-Pack or a BubCap Pro 2-Pack! The winner of the BubCap Pro 2-Pack will be able to decide between black or white BubCaps.